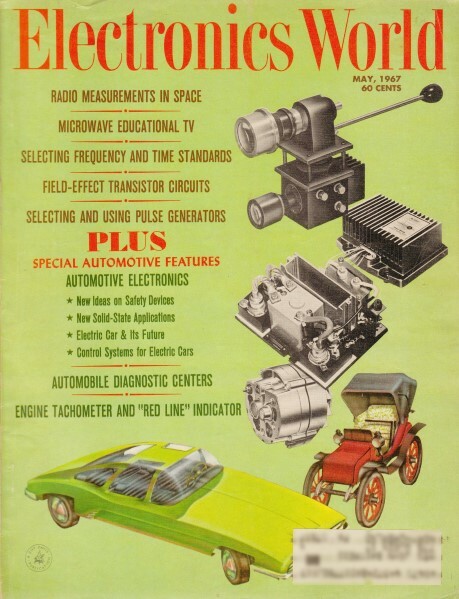 I know I keep saying this, but it keeps being true so I say it again: The basics of electricity and electronics have not changed in the last 50 or more years, so there articles from vintage issues of electronics magazines are as applicable today as they were back then. If you are just getting into the field of electronics, valuable information can be found here to supplement your learning process. In fact, I have seen examples in some of these articles where I re-learned something long-ago forgotten, and some of the stuff is rarely, if ever, seen in contemporary writings. Regardless, making yourself aware of the work done by pioneers in the industry is always valuable because it gives you a sense of approaches taken that have led to success, and sometimes failure on the way to eventual success. Here is a May 1967 Tips for Technicians, a February 1969 Tips for Technicians, and a May 1969 Tips for Technicians. Any capacitor changes its microfarad value when temperature varies. And some capacitors change more than others. In some circuits, capacitance drift with temperature can cause real problems. Look at circuits where you have fractional microfarad values of paper, film, ceramic or mica capacitors. During warm-up from room temperature to 65° C ambient, a capacitor with a temperature coefficient of, for example, 500 parts per million per degree C will increase capacitance value by 2%. This change is enough to cause troublesome drift in tuned circuits, where inductance also increases with temperature. It can knock the accuracy of a timing circuit off, or mess up the performance of a differentiator network. For these applications, we have a new kind of capacitor that beats anything we've seen in the stability race. It's the new Mallory Polystyrene Capacitor. They're made of stretched polystyrene film and high purity aluminum foil. The assembly is fused into one piece, with the polystyrene forming a solid case of clear plastic that you can look through and see the foil. Their temperature coefficient is less than 150 parts per million per degree C, which is about half that of polyester film capacitors. And the coefficient is negative; capacitance goes down when temperature goes up, compensating for the upward drift of inductance elements in tuned circuits. Want more? Mallory Polystyrene Capacitors have the lowest dielectric loss ... only a small fraction of that of other film capacitors. Their insulation resistance is way above that of mica, film or paper capacitors. And the best part of the whole deal is that they're really low in price! There's something new from Mallory, too, in stable electrolytic capacitors. It's the molded-case MTA, which has temperature stability that beats most metal case types. It has shown up so well on life test that manufacturers are using it in instruments and computers. And while it's priced down with cardboard-case tubulars, it beats them every way on quality. You can get these stable Mallory capacitors, and everything else you need for service or experimenting, from your nearby Mallory Distributor. Ask him for a copy of our 1967 General Catalog, or write to Mallory Distributor Products Company, a division of P. R. Mallory & Co. Inc., Indianapolis, Indiana 46206. DON'T FORGET TO ASK 'EM - "What else needs fixing?"